Non in Turchia? Scegli la libreria del tuo Paese per vedere i libri disponibili per l'acquisto. All is quiet in Paradise, except for a spate of innocuous vandalism. 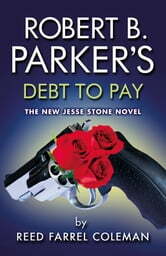 Good thing, too, because Jesse Stone is preoccupied with the women in his life, both past and present. As his ex-wife, Jenn, is about to marry a Dallas real-estate tycoon, Jesse isn't too sure his relationship with former FBI agent Diana Evans is built to last. But those concerns get put on the back burner when a major Boston crime boss is brutally murdered. Despite all evidence to the contrary, Jesse suspects it's the work of Mr. Peepers, a psychotic assassin who has caused trouble for Jesse in the past. Peepers has long promised revenge against the Mob, Jesse, and Suit for their roles in foiling one of his hits - and against Jenn as well. And though Jesse and Jenn have long parted ways, Jesse still feels responsible for her safety. Jesse and Diana head to Dallas for the wedding and, along with the tycoon's security team, try to stop Peepers before the bill comes due. With Peepers toying with the authorities as to when and where he'll strike, Jesse is up against the wall. Still, there's a debt to pay and blood to be spilled to satisfy it. But whose blood, and just how much?